What if the light bulb you put in your baby’s nursery didn’t have to be replaced until Junior heads off to college? That’s the promise of LEDs, or light-emitting diodes. 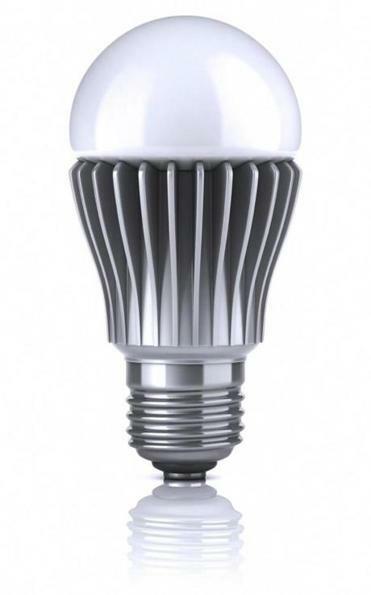 These bulbs are claimed to rival the look, dimming ability, and light quality of incandescents, contain no mercury (as compact fluorescent light bulbs do), and last up to five times longer than compact flourescents and 50 times as long as incandescents. There are a few things you will need to know before buying any energy-saving bulb. For starters, Energy Star-qualified bulbs meet high standards for brightness, color, and energy use, and the mercury content is capped in compact fluorescents. Before you shop, visit www.dsireusa.org/incentives or www.energystar.gov to find utility rebates, and search online for manufacturer rebates. Consider the fixture. When replacing a bulb, choose a new one that’s the same size or smaller to be sure it fits the fixture. Dimmers require dimmable bulbs and lights used outdoors must be designed for exterior use. Check the bulb package for details. Also, Consumer Reports’ ratings indicate manufacturer-recommended uses. Look at lumens. Select bulbs that provide the desired brightness at the lowest wattage (watts indicate energy use). Brightness is measured in lumens. When buying compact fluorescents and LEDs known as A-type for their bulbous shape — the kind used in lamps and other fixtures — look for at least 450 lumens if you are replacing a 40-watt bulb; 800 lumens or more for a 60-watt bulb; at least 1,100 lumens for a 75-watt bulb; and 1,600 lumens or higher when replacing a 100-watt bulb. For R30 floodlights, look for at least 10 times the watts of the bulb you are replacing. For example, 650 lumens to replace a 65-watt bulb. Choose a color. Warm lighting is flattering and used in most home applications, so the Kelvin temperature is in the lower end of the range. Standard incandescent bulbs produce a warm yellowish light and have a color temperature of about 2,700 Kelvin (K). If you like that warm color, look for compact fluorescents and LEDs with about 2,700K. At 3,000K, the light is whiter and comparable to halogen. For a cool, bright white light, look for bulbs in the 3,500K to 4,100K. And 5,000K to 6,500K bulbs mimic natural light or daylight. Note CRI. The Color Rendering Index, or CRI, tells you how accurately colors appear under the bulb’s light. The CRI ranges from 0 to 100 with daytime sunlight at 100 and incandescent bulbs right around that. A CRI of at least 80 is generally recommended for interior lights, and differences of fewer than 5 points are insignificant. To compare bulbs, look at the CRI of bulbs with the same Kelvin temperature.